Are you looking for a reliable plumber for your La Grange IL water heater installation or repair? To schedule service Call Done-Rite Plumbing at 708-246-3658 today. If you are looking for water heater repair or new water heater installation near La Grange, IL and want the job Done-Rite, give us a call at (708) 246-3658 today. Our friendly staff is here to help 24 hours a day and will schedule an appointment at your earliest convenience. We strive to provide you with the highest quality service and parts! If you feel like you are just not getting hot enough water or your water heater is leaking,just not working period, it’s time to call Done-Rite Plumbing in La Grange, Illinois. Our technicians will diagnose your water heater and make the best suggestion for you. It could be something as simple as adjusting the settings or you might be best off replacing it all together. Water heaters typical lifespan is approximately 10-12 years. With the newer technology, many of the water heaters today are much more energy efficient. Today’s water heaters provide much more efficient technology and provide greater savings in your utility bills. Below is some useful information to help you when selecting a hot water system for your home or office. First there are several different types of water heaters. 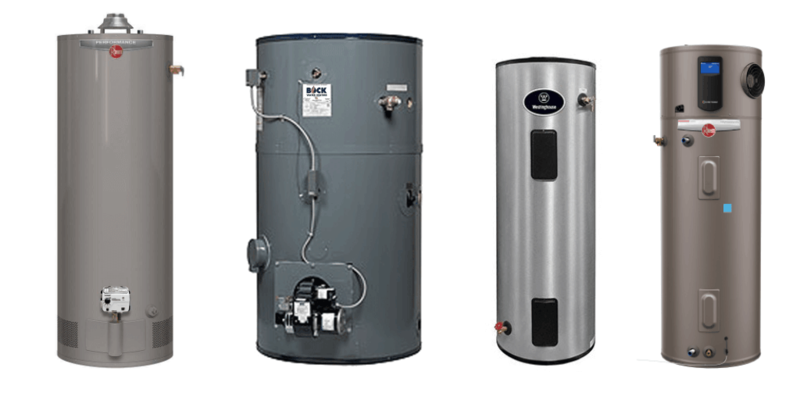 Gas water heaters: Gas heaters tend to cost a little more money over time however they, tend be more efficient over time as they have lower operating costs. Gas water heaters may not be an option if you don’t have a gas line as some condominiums or apartments. Electric water heaters: If you are looking for the lowest upfront cost water heater, an electric water heater may be your choice. While the initial investment may be lower, over time, electric water heaters require more energy to operate and tend to be more expensive to operate over time than their gas powered units. Tankless hot water systems: Tankless water heaters are the newest in technology and heat water instantly as is passes through. Because the way they work, they eliminate the need for large tanks of heated water. Consequently these are the most energy efficient water heating option on the market and typically cost a little more upfront. If You Need a New Water Heater Installed Call Your Friendly Plumbing Professionals at (708) 246-3658.